This is the third week of Reading Countdown to the Anthony Awards at Bouchercon 2016. Now there are thirteen weeks until the 2016 Anthony Awards are presented at the Bouchercon XVLII World Mystery Convention in New Orleans on Friday, September 16, 2016. This week I suggest you read the third nominee alphabetically in the Best Paperback Original category, Lori Rader-Day's LITTLE PRETTY THINGS. 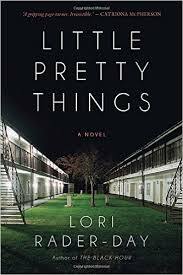 Lori Rader-Day's crime thriller/murder mystery LITTLE PRETTY THINGS was published by Seventh Street Books on July 15, 2015. It is an incredible psychological thriller and suspense tale with a small town setting, and the plot revolves around a ten-year high school reunion. The past does not remain in the past. Rader-Day is a marvelous writer who alternately gives the reader chills and genuine laughs. The novel won the Mary Higgins Clark Award in April 2015 when the Mystery Writers of America presented the Edgar Awards. 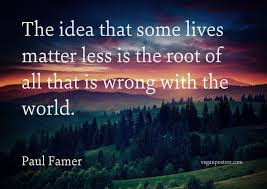 Rader-Day's debut novel The Black Hour won Best First Novel at the 2015 Anthony Awards (Bouchercon 2015), 2015 Lovey Award (Love Is Murder Conference), and 2015 Silver Falchion Award (Killer Nashville). You can order a copy of LITTLE PRETTY THINGS here with these links for IndieBound, Amazon, Barnes & Noble, or purchase it at your local independent bookstore.